A new member to add to the camera-family arrived yesterday, a 6 x 4,5 medium format camera (Bronica ETR-Si) that Leo and I bought on ebay last week. So excited! good choice ! Can't wait to see the pictures you'll both shoot with it. If I remember it correctly, your wishing camera is hasselblad but this bronica one would also rule too if you are the one holding it haha. wish U very lovely photos with it ;)! The greatest camera i have ever had. Good choice. I am looking forward to see new photos. Wow, I'm really looking forward to your new photos! Glad to see you all share my excitement! :) We've finished our very first roll now (and are working on the second), so new photos should be up next weekend when I get a chance to scan the negatives. Karakon'dye: Thank you so much! Veeria: Haha, sort of like that! 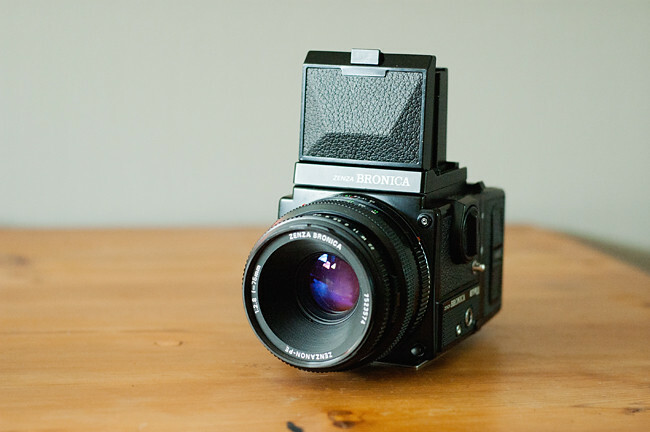 I've always wanted a Hasselblad, but it is totally out of my budget - then Leo and I came across this one for less than half of what a Hasselblad costs. Plus, I've been a little tempted to try the 6x4,5 format for a while now. Smallmoments: Åh, tack snälla du! whoo! vill se resultat. grattis.